When watching a wrestling match the first few times, you may wonder why in the world the Referee keeps raising his hands in the air and the score keeps changing when nothing really seems to be happening. You are not alone. Not many people who don't come from wrestling families understand right off the bat how wrestling matches and the scoring work. Below are some basics that will hopefully help. There are only two positions from which referees start, or continue a match. The first is neutral position, with both wrestlers standing and facing each other. 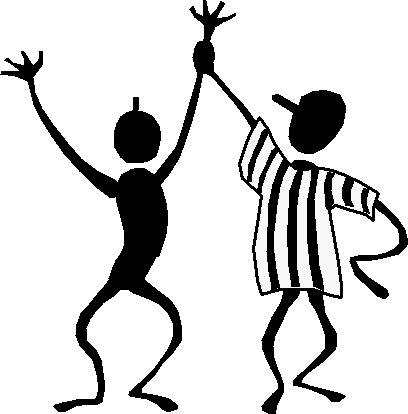 The other is the referee’s position, where one wrestler starts on his hands and knees down on the mat, and the other starts on top, behind and in control. The number of points someone receives for specific actions are included below. If your wrestler is wearing the green anklet and the Referee raises his hand with the green band, then the points are awarded to your wrestler. If he raises his hand with the red band and your wrestler's opponent is wearing the red anklet, the points are awarded to the opponent.